Our team of craftsmen, mechanics, sub-contractors and tradesmen will treat your home with the utmost respect. It is our priority for your project to be a success and to give you the most enjoyable experience through all phases of the construction journey. Understanding that the journey of home construction/ renovation is overwhelming and at times almost unbearable is why I always make myself available. Either by the office line, direct cell or email, I can always be reached. I welcome your questions and concerns and find with strong communication a smoother project results. Your excitement and enthusiasm for your project is very important to me, as is your happiness and our working relationship. The greater the level of excitement, happiness and relationship that we build together is the true measure of your project’s success. Welcome to Sirois Construction Inc. We are a full service contracting company licensed and insured in Rockland County New York. For over twenty years we have enjoyed working with the residents of the Hudson Valley , helping them to create their dreams. Our goal is to exceed our clients expectations on every job. We do this by giving professional care while providing the highest level of craftsmanship in all phases of the project. As a master carpenter himself, Dave Sirois takes great pride in still being a " hands-on " contractor. He leads his team of master , journeyman and apprentice carpenters, making certain you obtain the best possible service for all your carpentry and woodworking needs. Sirois Construction has long standing relationships with experienced, top quality Sub Contractors that are held to Dave's high standards, giving you,excellence and integrity in their workmanship.. Feel free to browse our profile to see our craftsmanship and attention to detail. Please contact us with any questions about your upcoming projects. Thank you for considering Sirois Construction as your choice for a General Contractor in the Hudson Valley. We look forward to working with you, our next client! Essential Design + Build is a turn-key contractor with full architectural, construction, interior design, and decorating expertise. Driven by years of experience and astute attention to detail, our versatile team collaborates directly with clients on design, planning and implementation to achieve award-winning results. Our office staff consists of architectural designers, interior designers, decorators, project managers, field superintendents and Department of Buildings expeditor. In the field, we retain a full crew of carpenters, millworkers and laborers. Our full range of services can be tailored to suit any space in the commercial, residential, retail, hospitality and industrial sectors. We regularly update our software and exposure to new materials in order to maintain cutting-edge capabilities in designing and rendering innovative projects for our clients. As a certified US Green Building Council Contractor, we are able to provide sustainable construction that respects environmental integrity. Additionally we have LEED accredited staff members on our team. Our experienced architectural designers work with established and respected manufacturers and fabrication studios, ensuring that upon completion of construction, our clients will be rewarded with distinctive and skillfully crafted spaces. The unique diversity of our personnel allows us to both complement one another's skills and to challenge each other creatively and professionally. Formerly known as Atco Construction, we have built a solid reputation for top-quality craftsmanship since 1971. Based in New York City, United Elite Group, Inc. has earned a reputation as a high quality, competitive firm that completes projects on time and within budget. The company’s diverse portfolio includes new construction, state-of the-art renovation and historic restoration. United Elite Group offers a full range of project planning, construction management and general construction services. All of United Elite Group's technicians and trades are fully licensed and insured. Incorporating the highest quality materials and state-of-the-art construction techniques in conjunction with superior project coordination and construction supervision, United Elite Group sees a project through from conception to completion paying rigorous attention to project details while maintaining our impeccable safety and quality assurance record. Our clientele can be assured of this because our workers are highly skilled professionals who are recognized artisans in their trades. 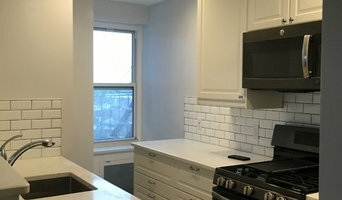 One of the premier builders and home remodelers on the North Shore, Northern Contracting is know for their full service contracting in jobs including: new homes, renovations, additions, kitchens, bathrooms, and masonry. They are known for their fine craftsmanship, attention to every detail, and excellent customer service. Northern Contracting is family owned and operated by Linda and Greg DeAngelis for over twenty five years. Whatever the project you are dreaming of, large or small, Northern will turn your dream into reality! For over 25 years, Ambassador Home Improvement has been passionately creating better homes in your community by providing professional residential remodeling services across Long Island. Our services range from simple renovations, additions, dormers and extensions to highly customized interiors, outdoor living space and new construction. We are the only company that has a full-time in-house designer and we are confident that Ambassador can work with your existing plans or provide you full-service project management from idea to inception and will add space, beauty and character to your home that lasts a lifetime. We are a family owned, family operated and family-orientated company. 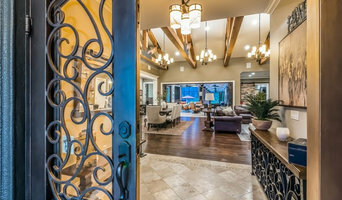 Our experienced professionals will treat your family and home with the care and respect that we have delivered consistently for over 2 decades which is why we have maintained an A+ rating with the “Better Business Bureau” and “Consumer Affairs” along with receiving the houzz Service Award 6 years running. 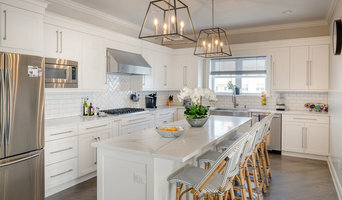 RJT Builders LLC is based in Bergen County, New Jersey, has been remodeling and constructing new kitchens, baths, basements and additions, since 2006. RJT Builders LLC differentiates itself from other companies by exhibiting professionalism from our fleet of licensed and experienced skilled personnel, timeliness in the completion of projects, and the direct contact and communication with our clients. RJT Builders LLC prides itself on the number of satisfied and repeat customers that re-use our services for every project they need. Word of mouth is our best salesman. We are an experienced interior remodeling business based in NYC. Our friendly and knowledgeable staff will make the renovation process clear and will guide you through the steps as needed, from initial design to completion. We welcome custom jobs.